Volunteers from the Red Cross Service to the Armed Forces during Veterans StandDown supporting local veterans at the Northport VA medical facility. During the last week, the Greater New York Red Cross responded to 43 emergencies and provided aid to 74 adults and 29 children. NY Red Cross volunteers during an evacuation drill in Hawthorne, NY, on Oct. 7. On Sunday, Oct. 12, the Red Cross, the NY Fire Department, and the NYC Office of Emergency Management partnered to provide a citizen preparedness training at the Rockaway YMCA. On Oct. 11, Red Cross responded to the scene of a multi-family fire in Mount Vernon that displaced a family of four, and a single individual. A mobile reception center was immediately arranged so those affected could shelter from the rain and receive assistance from Red Cross volunteers. 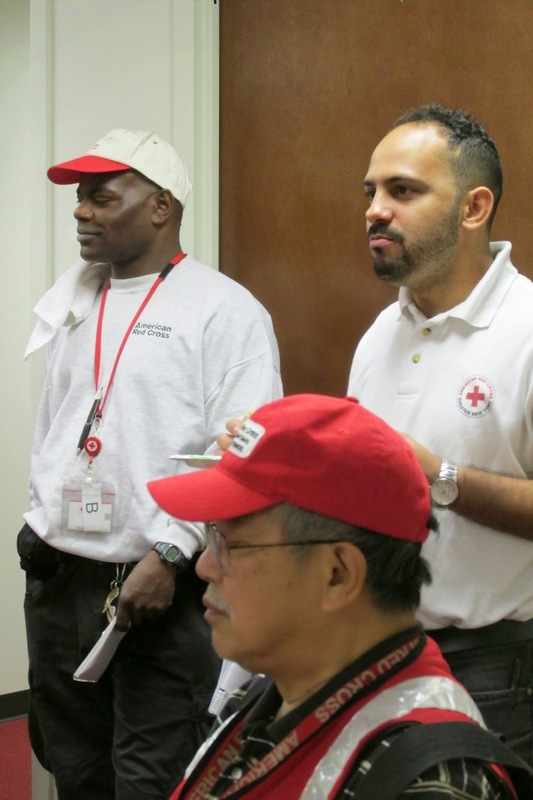 A total of 31 Red Crossers from across the Greater NY Region gathered at the Red Cross offices in Hawthorne, N.Y., Oct. 10 to participate in a multi-county mass evacuation drill. On Oct. 9, we launched a home fire campaign to raise awareness about fire safety, urging people to install smoke alarms in their homes. By educating communities about fire risks, Red Cross hopes to help reduce home fire deaths and injuries by 25 percent over the next five years. See how much you know about home fires: Take our Fire Safety quiz. On Oct. 8, Greater NY volunteer Arturo Guzman spoke about fire safety on Telemundo 47. Also on Oct. 8, we shared some fun examples of what NOT to do during a fire drill. Greater NY Red Cross CEO Josh Lockwood shared his hero for the #RedTieHeroes campaign. 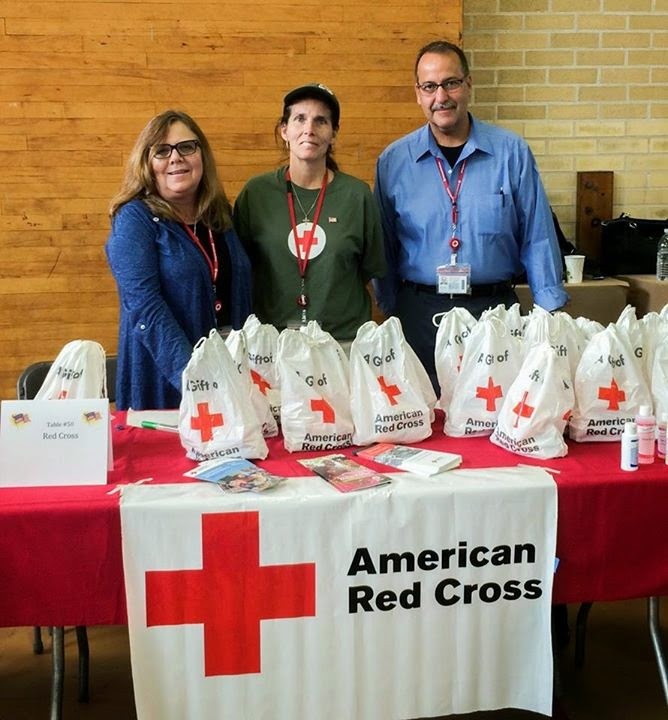 On Sept. 24, volunteers from the Red Cross Service to the Armed Forces Team on Long Island supported local veterans at Veterans StandDown at the Northport VA Medical Facility.